Bluefield State College (BSC) is a four-year, state-supported, coed, liberal arts institution founde…. 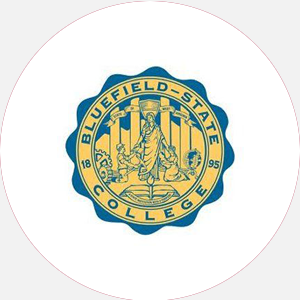 Bluefield State College (BSC) is a four-year, state-supported, coed, liberal arts institution founded in 1895 as Bluefield Colored Institute to train black teachers. Postsecondary education was not offered until 1931 when the name changed to Bluefield State Teachers College. The first bachelor’s degree was awarded in 1932. The present name was adopted in 1943. Presently, Bluefield offers a comprehensive teacher education program as well as programs in the arts, science, and engineering technology. Although only 6 percent of the student population is black, BSC is one of two Historically Black Colleges and Universities in the state. As a state-supported school, BSC’s mission is to provide affordable higher education to area residents from all races and cultures. All programs are designed to promote the students’ intellectual, personal, ethical, and cultural development. This commuter college serves citizens of south West Virginia at three off-campus sites, including the Greenbrier Community College in Lewisburg, West Virginia; the McDowell Community College in Welch, West Virginia; and the nursing program in Beckley, West Virginia. Bluefield State College is accredited by the North Central Association of Colleges and Schools to award the Bachelor of Arts, Bachelor of Science, Associate of Arts, and Associate of Applied Science degrees. Graduation from an accredited high school (or equivalent) and completion of the following minimum units: 4 English, 2 mathematics (algebra and higher), 2 lab science, 3 social studies (applicants out of high school more than five years exempt from specific units); minimum 2.0 GPA; submit proof of measles and rubella immunizations. A minimum of 128 credit hours and completion of core requirements, including 6 mathematics, 8 science, and a computer course; minimum 2.0 GPA; 32 hours in residence with last 16 hours at BSC for a bachelor’s degree. A minimum of 64 credit hours and completion of core requirements; last 16 hours in residence with last 8 hours at BSC for an associate degree. August-May (semesters) Commencement and conferring of degrees: May Two summer sessions.